It’s that time of the year when the nights are getting chilly and we are looking for something warm and comforting to eat. 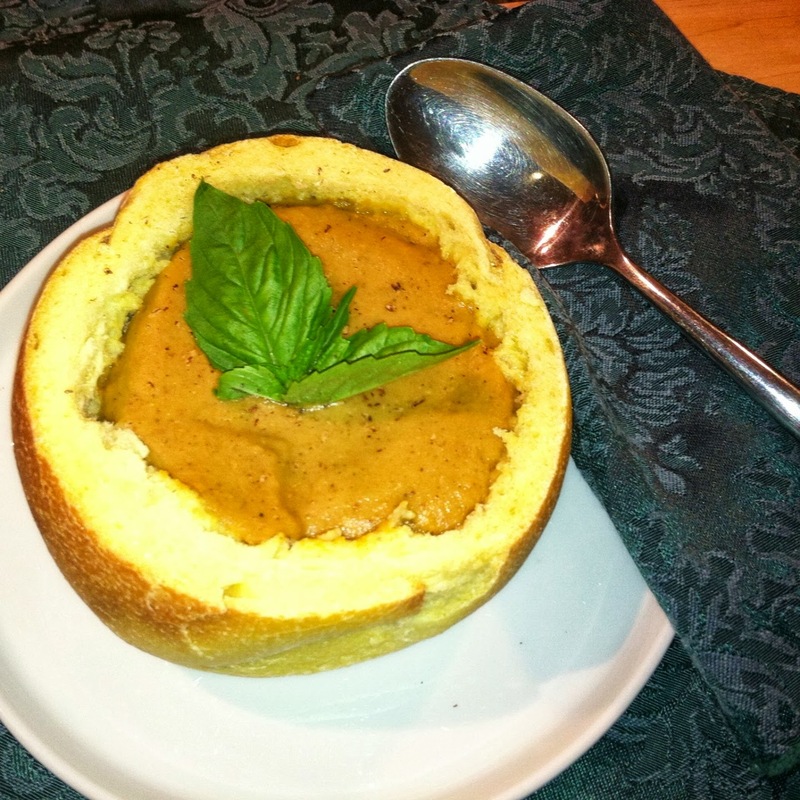 Try this creamy pumpkin soup and serve it in a bread bowl for a pretty presentation. This recipe takes only 5 minutes to prepare on the stove! How easy is that? Take each bread and slice across the top to create a bowl, about an inch down. Scoop out the dough leaving about 1/4 inch. You can use those pieces for dunking in your soup. Set onto plates. In a pot add the chicken stock, pumpkin and pumpkin pie spice. Gently whisk to incorporate the ingredients until almost boiling under a medium low heat. Add the cream and mix through. Ladle into the bread bowls and garnish with basil.